Celebrate the amazing PINK Blusher with this amazing palette. Mixture of matte, shimmer and baked merged powders. Comes in professional palette with large full size mirror. Explore the entire range of Face Palettes available on Nykaa. 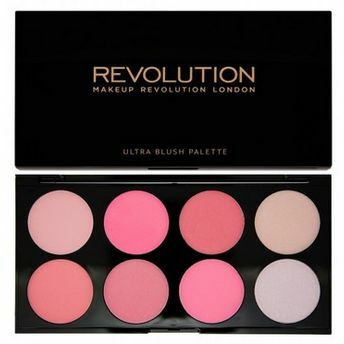 Shop more Makeup Revolution products here.You can browse through the complete world of Makeup Revolution Face Palettes .Alternatively, you can also find many more products from the Makeup Revolution Blush & Contour Palette range.